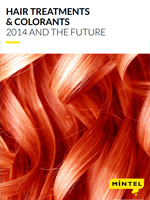 This global annual market overview will provide you with an in-depth review of the key issues in the global hair treatments and colourants market through 2014 as well as our forecast for what will happen in 2015 and beyond. The top claims in hair treatments reflect how these products are essentially designed to care for and repair hair, with many products designed to moisturise, illuminate or repair damage. As the brightening/ illuminating claim moves from facial skincare into haircare, there has been a strong rise in the proportion of new launches that claim this benefit; in 2014, almost six out of 10 treatments had this claim. In hair colorants, even though South Korea is not in the top 10 countries in terms of market size, it has become the standout growth market globally. The market also has a relatively well established spend per capita compared to other high growth emerging economies such as India, Indonesia and China.